Will an evil villain shut down the circus? 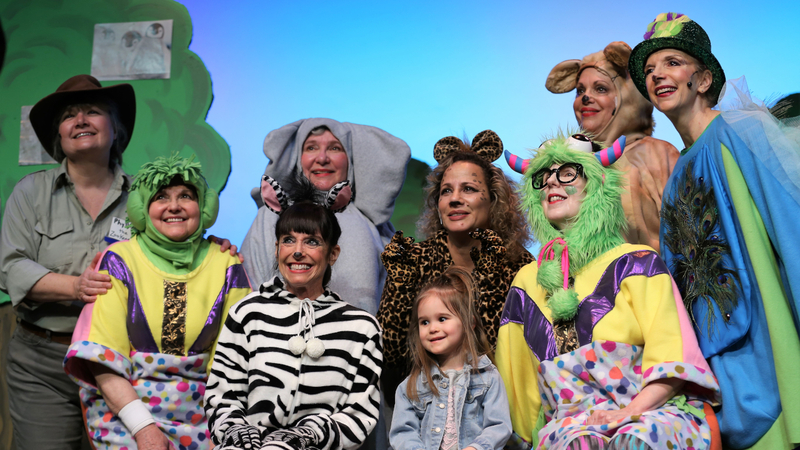 Find out when Palatine Park District’s Family Friendly Theatre presents “The Magic Circus” by Eileen Mitchell, on Monday, March 25 and March 26. Performances are at 10:30am each day at Cutting Hall Performing Arts Center, 150 E. Wood St., in Palatine. Ticket prices are $6.00 for regular admission and $5.00 for groups of 10 or more. To purchase tickets, visit cuttinghall.org or call 847.202.5222. Additional ticketing fees may apply. Family Friendly Theatre schedules performances throughout the year on days off of school. The shows are suitable for children ages 3 to 12 years. According to Community Outreach Coordinator JP McNamara, Andigo Credit Union is proud to be presenting sponsor for “The Magic Circus.” Founded in 1939, Andigo is not-for-profit and offers all the services of a bank. Open to the community, they have a branch in Schaumburg on Meacham Road and their newest branch is located in Carol Stream. For more information about “The Magic Circus” and Family Friendly Theatre, contact Ashley Schiavone at 847-496-6237 or aschiavone@palatineparks.org.